Do you want a Christmas outside of the ordinary? 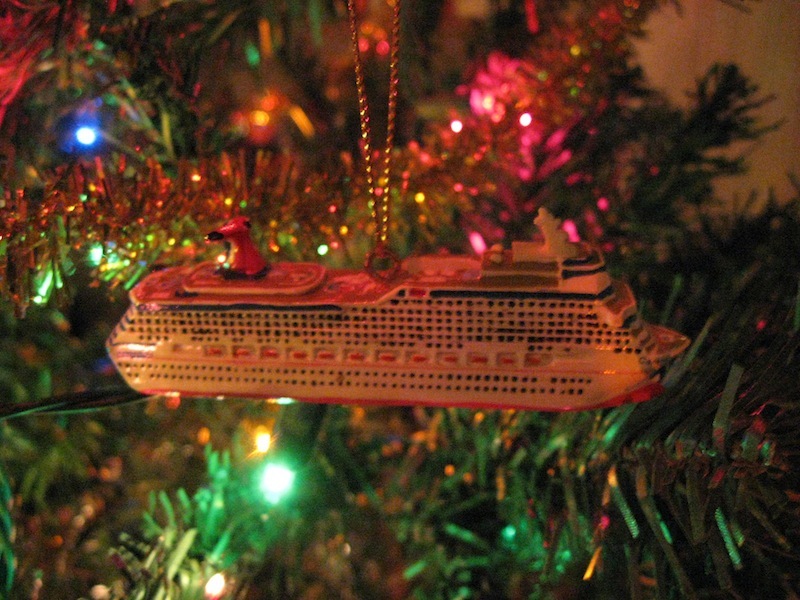 Almost all large cruise lines operate right through the holiday, making it easy to have a tropical Christmas. 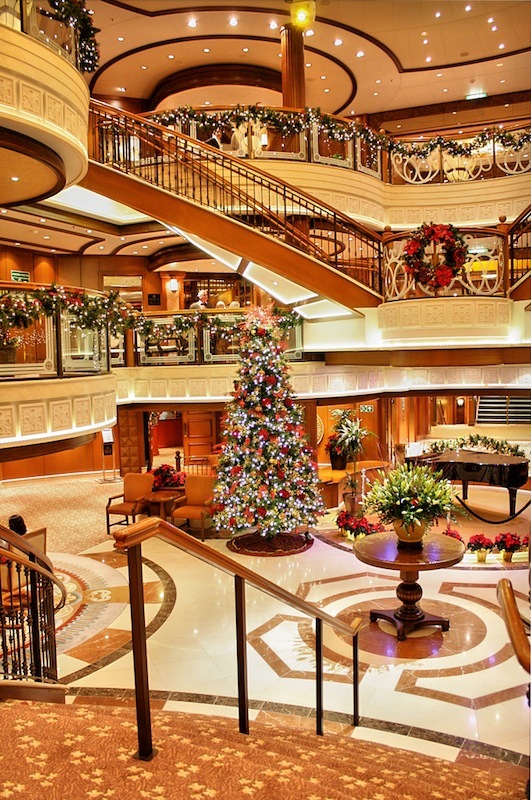 There are a few valid reasons why some might balk at the idea of a cruise ship Christmas- no snow, unless you're in Alaska or Antarctica, no home-cooked meal, no huge family gathering. 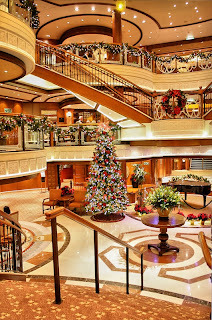 A Christmas aboard is likely to be a long way from the traditional way of celebrating the holiday, and if those things are your priority then maybe a Christmas cruise is not for you. However, it certainly has it's advantages. No cooking, no dishes, the most relaxing Christmas you'll ever have. As for snow- you could try an Alaskan cruise, but as an inhabitant of the southern hemisphere used to visiting the beach on Christmas day, I can vouch for the fact that Christmas is still Christmas in summer! 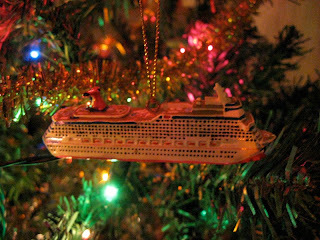 The ships do get into the spirit of the holiday, with decorations galore, faux snow falling in the Grand Atriums of Princess ships, midnight services on Cunard's Queens, and holiday decorations and santa visits across most of the lines- festivities are designed to include all religions. Pacific-based P&O line will get into the Aussie Christmas spirit this year with a crew vs. passenger game of beach cricket on Christmas eve. Family is a big factor in Christmas for many people- why not bring them all along? A cruise will give you a relaxing holiday together rather than just one day filled largely with driving, cooking and cleaning up- can I reiterate once more, there are NO dishes for you to do on a cruise ship. If you are cruising over Christmas/Hanukkah/Thanksgiving, make sure to be extra friendly to the crew who are working and away from their loved ones. Apart from that, have a lot of fun and enjoy a break from the craziness of the silly season! 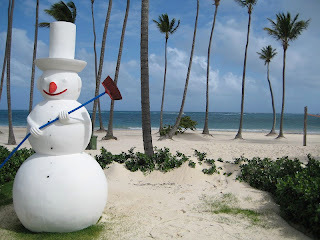 Try out Cruise Sale Finder's advanced cruise finder to find a Christmas cruise for 2011 or 2012!